Last year’s mild winter may be tempting some motorists to avoid the switch to winter tires. But it’s time for a reality check. All season tires don’t have the traction to stand up to the cold because they’re made from a different compound. When the temperature dips below seven degrees Celsius, all season tires harden and lose traction, compromising handling and performance. In fact, winter tires offer 50 percent more traction. 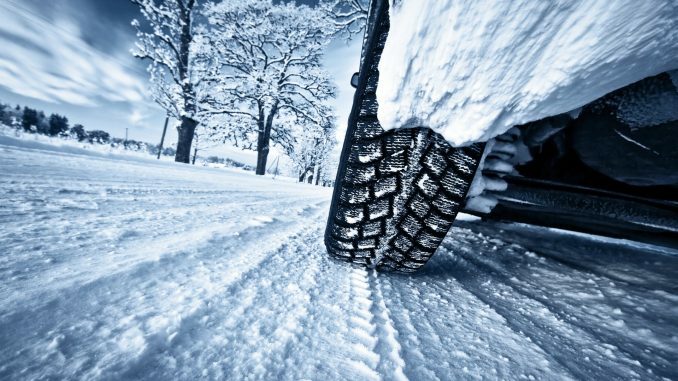 Most important, winter tires provide 30 percent better stopping power than all season tires. Winter tires also provide a more aggressive tread. That means when the tire presses down on the road surface, it grips better. In the old days, it also meant that winter tires were noisy and didn’t perform as well. But with modern technology, treads are aggressive without being noisy or compromising performance. Some drivers believe having all-wheel drive (AWD) or four-wheel drive (4WD) eliminates the need for winter tires, but that’s not true. AWD and 4WD can help with traction, but do absolutely nothing to help with braking. And technology such as ABS and traction control does not provide more traction in icy or snowy conditions. That’s the job of the winter tire, with its specially designed compound and tread. Whether you’re driving on snow or even ice, you’ll get better control over braking and cornering with winter tires. You won’t get stuck when there’s a snowfall, or worry about spinning out in slippery conditions. It makes good economic sense to make the switch, as you’re saving wear and tear on your all-season tires by only using them for part of the year. And Mr. Kanji says that while some motorists prefer to have a separate rims for each set of tires, today’s improved tire changing equipment doesn’t damage tires, so you only need one set of rims. That’s another couple of hundred dollars in cost savings. The discount varies from carrier to carrier, ranging from one percent up to 10 percent. It will not apply to comprehensive (fire and theft) coverage. All winter tires showing the snowflake/alpine insignia should be eligible for the discount, but restrictions exist and vary from one carrier to another. In Quebec, mandatory use of winter tires has resulted in a three percent drop in deaths and serious road injuries. It’s also important to maintain good tire pressure during the winter, as every five degree decrease results in the loss of one psi in air pressure. Under inflated tires will lose their grip, resulting in diminished braking and handling, as well as higher fuel consumption. To contact Farid Kanji, call 905-270-3303 or email faridsautocentre@bellnet.ca. To contact Debbie Arnold, call 416-646-0155 or email debbiea@soundinsurance.ca.